Getting Smart With Investment in Gold. Do you know that India Ranks 1 in the highest gold jewellery consumption in the world? India and China account for 44% gold jewelry consumption globally. This alone proves that the Indian men and women are highly interested in buying gold jewelry. Further, gold is also treated as a sign of royalty in India. However, when it comes to investing in gold, now a day, people do not consider it as a good option. With the increase in the paper assets, the gold investment is slightly fading away. Moreover, most of the investors think that investment in gold is not as rewarding compared to stocks, bonds, and real estates. “I have no views as to where it will be, but the one thing I can tell you is it won’t do anything between now and then except look at you. Whereas, you know, Coca-Cola (KO) will be making money, and I think Wells Fargo (WFC) will be making a lot of money, and there will be a lot — and it’s a lot — it’s a lot better to have a goose that keeps laying eggs than a goose that just sits there and eats insurance and storage and a few things like that. However, being born in a middle-class family, and listening to my mother continuously talking about the jewellery & rising prices of gold, I differ a little with Warren Buffet’s idea of investing in gold. Gold has been used as a currency for over centuries in this world. Gold is assumed to be first found in Egypt in 3000 BC. However, gold started acting as a currency only since 560 BC. 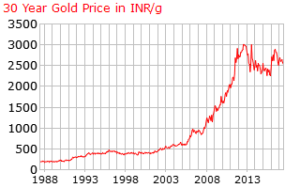 Nevertheless, gold is one of such rare items which has consistently been in the market and used to buy/exchange items. No matter which part of the country you live in, gold can easily be converted in cash and readily be bought and sold. However, such option is not available with other paper assets like stocks and bonds or physical assets like real estates. Further, there is no or minimal paperwork required in gold investment. Here is a chart showing the upwards trend of gold over the last few centuries. 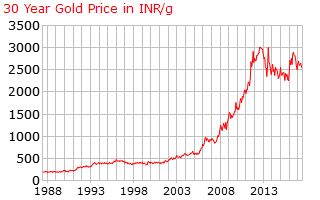 From the year 2006 to 2011, gold has given a return of 29% per annum. Further, if we consider long term, it has given a return of 10% per annum. Overall, gold will preserve your wealth if you hold it for a long-term duration. Gold acts a great investment to protect your money from inflation. Over the past couple of years, as the purchasing power of Rupee is declining; on the contrary, the price of gold is consistently increasing. 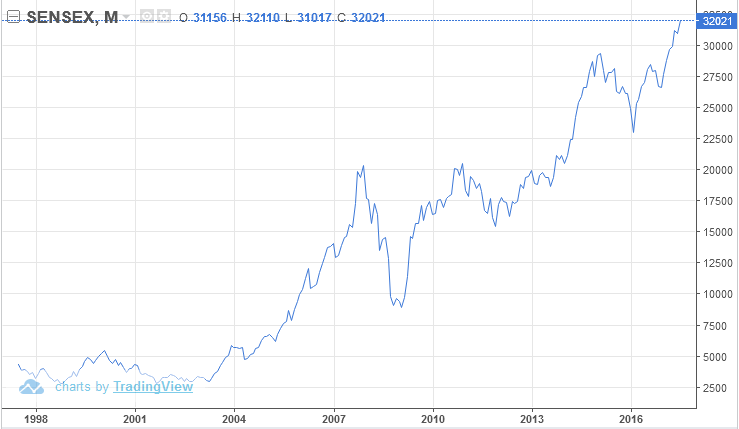 Here is a chart of SENSEX over the past few years. 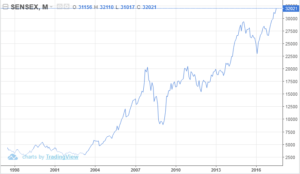 In the above chart, please notice that when the SENSEX was sharply falling in 2008-09, the prices of the gold kept skyrocketing during this duration. Hence, if you had diversified your portfolio with gold investment, you wouldn’t have faced so much loss compared to concentrated investment in stocks. In short, gold investment can help investors to avoid financial disasters. Apart from the above four reasons, there are few other reasons also which favors gold investment. For example, in the 21st century, every country has a different currency. Nevertheless, gold can act a commonly acceptable asset anywhere in the world. Further, it’s much beneficial to keep a gold in your pocket than a currency which is not acceptable. In addition, gold is also a great investment to pass on to your next generation who might not have such luxuries to find gold in abundance. Now that you have understood the importance of gold investment, I would like to highlight the simple ways by which you can invest in gold in India. This is the old and conventional way of gold investment. You might have seen the jewellery of your mother, sister or other members of the family, which is the best example of gold investment through jewelry. Although these pieces of jewellery act more like ornaments, still they are worth considering as an investment. The pros of buying gold jewelry are its easy feasibility along with zero paperwork. However, there are also few cons while investing in gold jewelry. For example, first of all, you need to pay the making charges (10-20% of total cost) along with the price of the original gold. Second, when you will sell the jewelry, the buyer will not consider the making charge. In addition, he will also demand a purchase discount (5-10%). Lastly, there is a high risk of theft and burglary in storing gold jewelry. These are a better option for gold investment compared to buying jewelry. There are no making charges involved here. You can buy or sell the gold coins and bars from any Jewellery shops. Further, some banks also sell them. One of the biggest benefits of investing in physical gold assets is that you won’t need to open an account to start investing. No demat or trading account is required for this type of gold investment, unlike paper assets like stocks or bonds. ETF stands for Exchange traded funds. 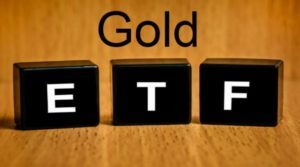 Gold ETF is a type of mutual fund which invests in gold and units of this mutual funds scheme is listed on the stock exchange. 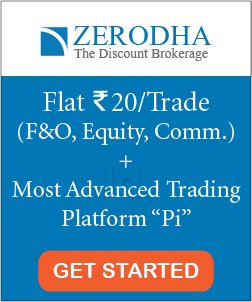 You can invest in Gold ETF through a demat account. 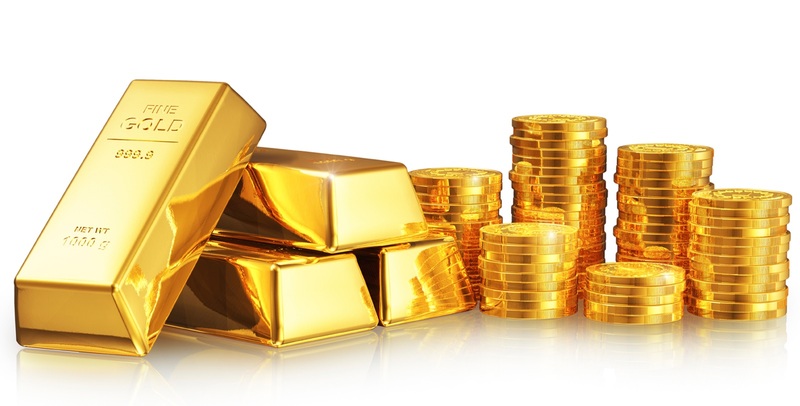 However, this type of investment of gold involves assets management and brokerage charges. Brokerage fee for gold ETF is around 0.25-0.5% and the fund management charges are approximately 0.5-1%. Because of these charges, the returns on Gold ETF are less than the actual increased value of gold. 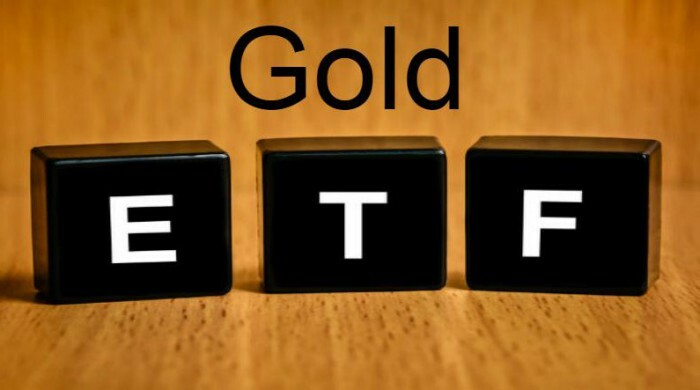 Gold ETF is directly proportional to the price movement of gold and is not affected by market fluctuations. This type of gold investment involves investing in companies related to mining, extracting and marketing of gold. Market fluctuations affect equity-based gold funds. Further, equity-based gold funds are susceptible to different risks like gold price risk and equity-based risks. The biggest benefit of paper gold investment options is that there is no risk of theft or burglary here; as compared to physical gold. How much to invest in Gold? The portfolio allocation for gold investment varies for different investors according to their investment strategies. In general, small investors should keep 5-10% of their portfolio invested in gold. Gold doesn’t give an as high return as stocks or real estate. Nevertheless, gold investment will help to mitigate the risks in your portfolio. That’s all. 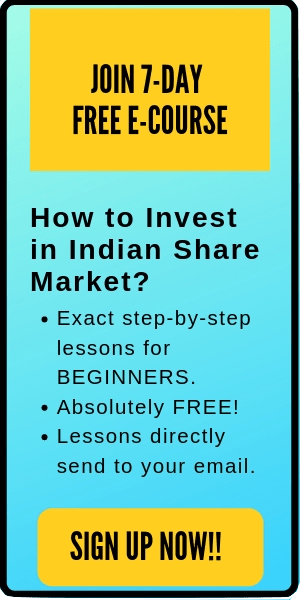 I hope this post on ‘Getting smart with Investment in Gold’ is useful to the readers. Further, please comment below your opinion about investment in gold. Is Gold Investment good for a small investor?